Factory options on this nicely optioned 2019 Volvo S90 include Advanced Package, Heated Seats and Steering Wheel, 19" Alloy Wheels plus a long list of standard features. 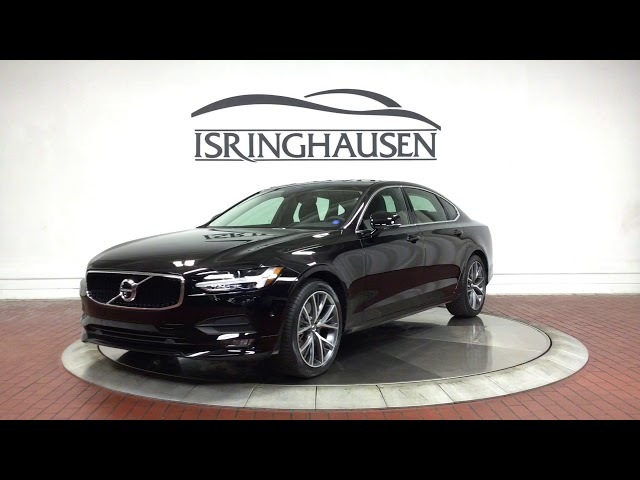 The S90's luxurious design, innovative technology and impressive handling have earned it top honors in the industry's most prestigious categories while continuing to be one of the best values in it's class. Contact a Volvo sales specialist today by calling 877-362-9715. Isringhausen Imports is Central Illinois' premier new car, used car and certified pre-owned (CPO) dealership for quality BMW, Porsche, Volvo and Mercedes-Benz vehicles. At Isringhausen Imports, we have become a leader in the industry by working each day towards the greater good of our customers, our fellow employees, and our community.